Meet Chewie | Actionsuit Alert! 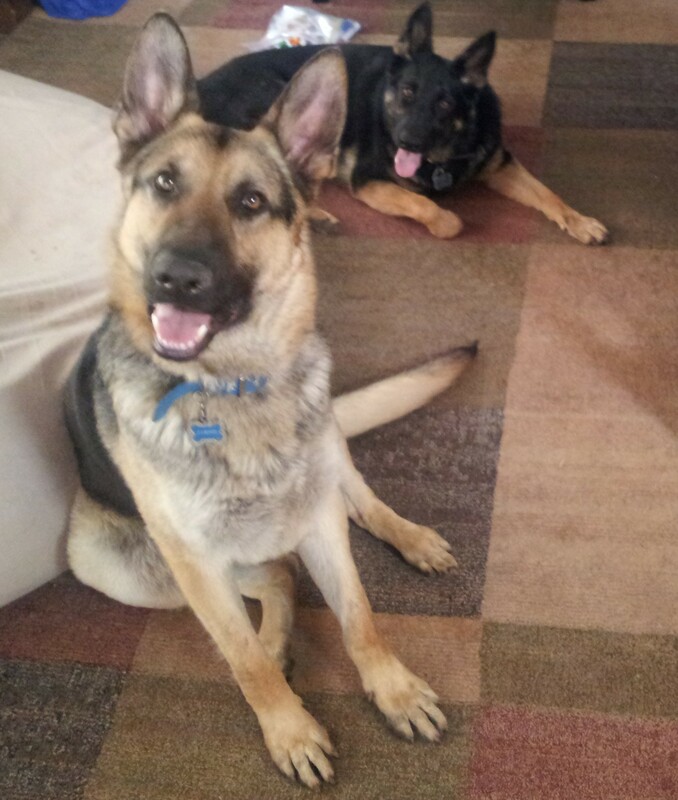 Say hello to our newest family member and our second german shepherd, Chewbacca (that’s him in the forefront). We recently rescued Chewie with the help of the Serendipity German Shepherd Dog Rescue the same as we did last spring with his older sister, Ellie (darker one in the background). I can’t recommend using a rescue service enough for whatever breed you favor. Working with Rachel at Serendipity we were able to find two perfect dogs for each other and our family – happily ever after unless you’re an inanimate object within the reach of Chewie. Chewie will be two years old in December and lives up to the name my two daughters picked out for him. He’s big (80lbs so far) and he loves to come up to you and lean in for a pet and hopefully a snuggle and may start talking to you if you don’t (he actually sounds remarkably close to the real Chewbacca sometimes). During the day he prefers to chill in our backyard with a shoe or slipper, but really anything within reach that has our smell on it will do – a dustpan, yard clippers, tarps, old christmas lights left on a bush. We’ll be enrolling in some training classes soon, but for now a friend of ours has let us borrow Training Your German Shepherd by Dan Rice, DVM. There is a newer edition available than the one we have, it can be found at Amazon. 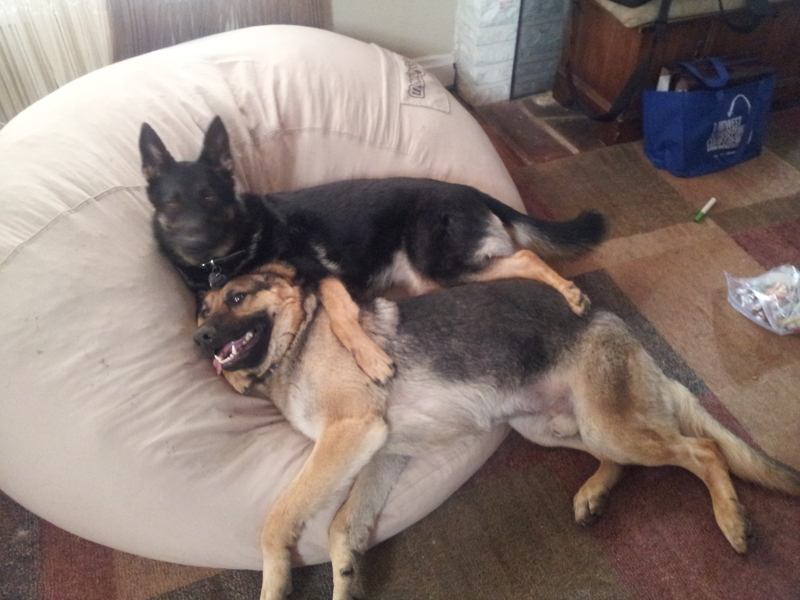 This entry was posted in Family Stuff and tagged chewbacca, Chewie, dan rice, ellie, serendipity gsd rescue, training your german shepherd by Myles Patrick. Bookmark the permalink.